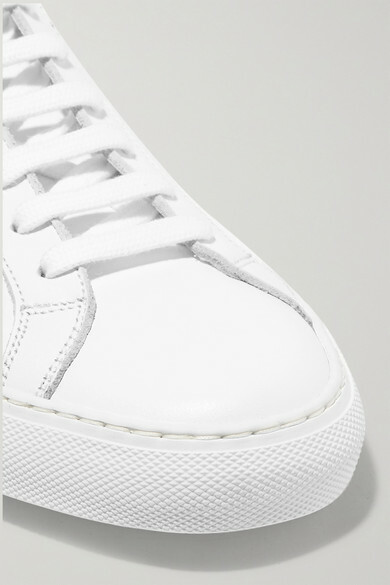 The hype surrounding Common Projects all began with its white leather 'Original Achilles' sneakers. 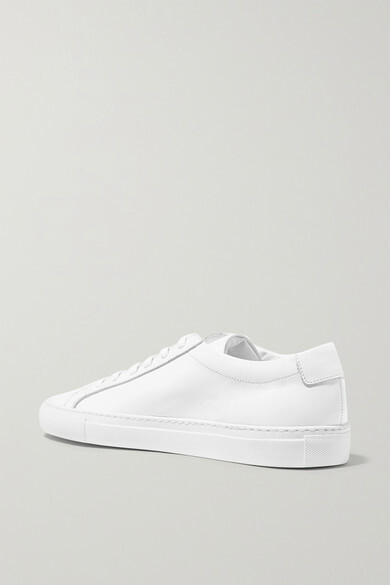 Made in Italy, this white pair has a clean low-top silhouette and is discretely stamped with a gilded serial code – the brand's calling card to those au fait. 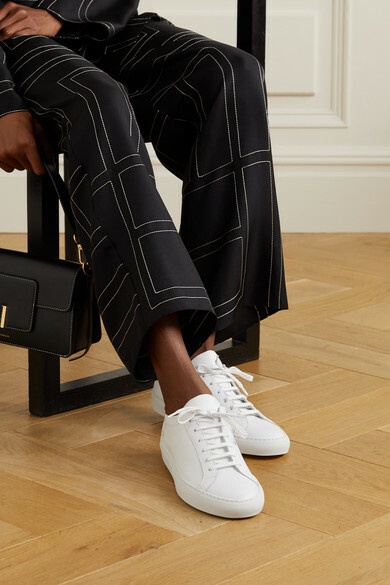 Shown here with: Acne Studios Bomber jacket, 3.1 Phillip Lim Skirt, The Row T-shirt, Loewe Pouch, Larsson & Jennings Watch.